Life Force Activations. Plus Over 2000 Advanced Energy Workshops for Physical and Spiritual Evolution. Life Force Attunements will gently release any negative mental or emotional patterns you might have. Life Force is the energy of the universe. Life Force can pass through everything and is available to you all the time. Life Force Attunements enable you to deeply tap into this energetic force to receive unlimited energy. Life Force Attunements will also balance any incorrect past life events as to facilitate the release of any issues that hold you back so you can begin to move into your highest potential. This will help give you the ability to co-create your reality in concert with the spiritual realms. As you activate these important Empowerments, your negative energy patterns will be released, allowing you to feel a sense of balance and control in your life. With the activation of the 3rd Empowerment in this Workshop, you will have the opportunity to reach enlightenment as your 3rd Eye expands! You will receive a meditation & mandala to empower the Shakti! You will also receive 3 Extra Important Empowerments! "May The Life Force Always Be With You!" 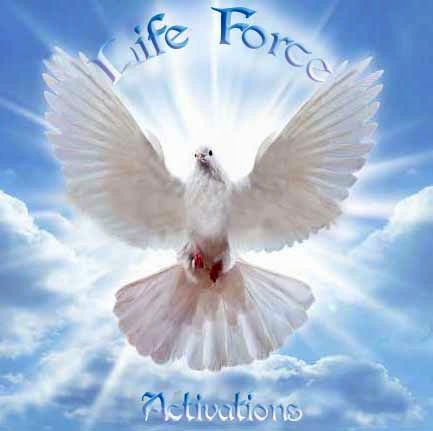 You will receive the Life Force Activations manual by email, All the Attunements, Shaktis and a emailed certificate. Full Email support is given before, during and after all my Workshops.